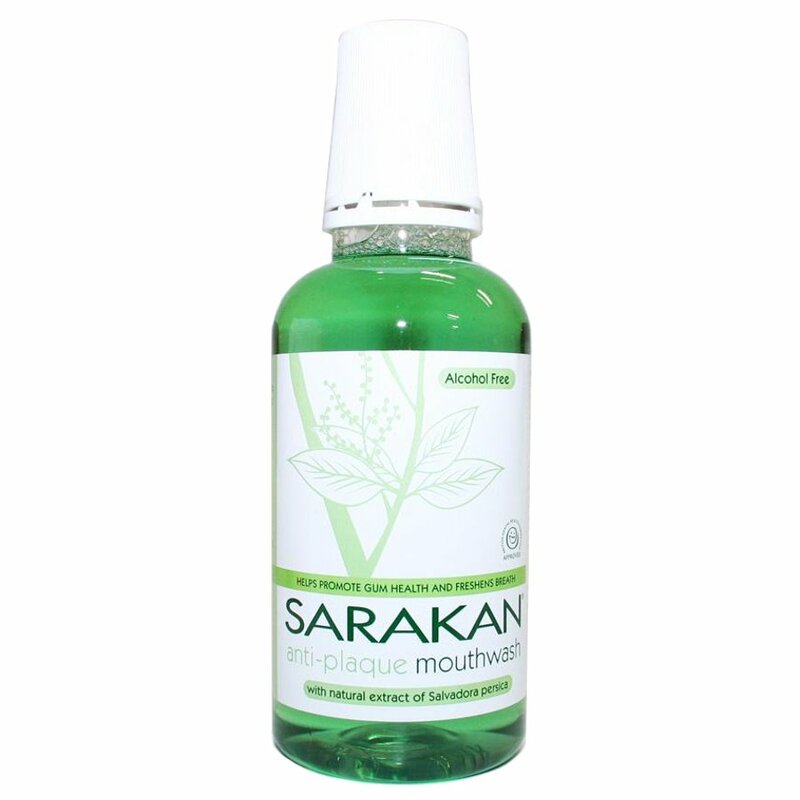 Mouthwash naturally flavoured with oils from peppermint, geranium and clove. This mouthwash helps protect your teeth from plaque and tartar and keeps and encourages healthy gums, this is assisted by an ingredient in the mouthwash, a natural extract called salvadora persica, also known as ‘the toothbrush tree’. Rinsing with this mouthwash regularly will keep your mouth fresh and healthy. Suitable for vegan use. Aqua, glycerine (derived from Rapeseed oil), hammamelis virginiana (witch hazel) distillate, polysorbate 20, salvadora persica, cetyl pyridinium chloride, mentha arvensis oil, mentha piperita oil, eugenia caryophillata oil, pelargoneum roseum oil, limonene, citronellol, geraniol, chlorophyl. There are currently no questions to display about Sarakan Mouthfresh Rinse - 300ml.